In a new paper just published online in Maternal & Child Nutrition, we use survey data to tackle some basic myths about milk sharing in the U.S.: Who are people sharing with? What kinds of information is being gathered? How is milk being shared? There is all kinds of confusion about whether milk selling is the same as milk sharing, and whether differences between the two matter in terms of the potential risks. Buying and selling milk was rare. These findings are consistent with other reports of milk sharing practices. While a small number of respondents did both milk buying/selling and milk sharing, the evidence suggests that milk sharing is a gift economy. In other words, milk sharing IS NOT the same thing as milk selling. You may have heard people refer to milk sharing as “casual” milk sharing. This term is loaded with stigmatizing assumptions, not the least of which is that milk sharing operates similarly to online dating, a practice that may lead to casual, even anonymous, sexual encounters. Calling milk sharing “casual” also implies that it is being done blindly, without regard to the risks. Of 867 respondents, there were no cases of anonymous milk sharing. 29% shared ONLY with family members or friends. Everyone who had received shipped milk asked donors screening questions and/or shared only with friends and family members. In cases where milk was either bought or sold, recipients reported asking screening questions, meeting donors in person, and/or buying milk from a milk bank. Does this mean milk sharing is never anonymous? Not necessarily. But, our findings are consistent with other studies that describe milk sharing as being practiced by people who, if they aren’t already family or friends, become well-acquainted as part of milk sharing interactions. A mother picks up milk from a donor she met online, their babies enjoy a playdate in the meantime. For some time now, people have been trying to understand the dynamics between milk banking and milk sharing. Many have argued that the people who engage in milk sharing, both as donors and recipients, are doing so in response to needs that are currently unmet by milk banks. Our data support this perspective. Milk sharing is one way that families who wish to feed their baby with human milk may do so without having to navigate various institutional, geographic, economic, cultural, and medical barriers. We are learning that many parents are interested in using banked donor human milk, but are not eligible. Finding ways to expand access to banked donor milk is worthy of being a national public health priority. A majority of respondents reported seeking milk for healthy babies. The idea that milk sharing is casual leads to the misconception that parents seeking milk don’t realize that there are risks, and so they fail to take any precautions to make milk sharing safer. We also asked about lay screening behaviors, defined as asking donors and recipients questions needed to make an informed decision about giving or accepting milk. Most recipients reported gathering information about age of donor’s baby, alcohol use, diet, substance use, medication, and tobacco use. Lower rates of screening were reported when donors were family, friends, or local community members. 78% of recipients gathered information about disease risk in a variety of ways, including blood tests, reviewing pregnancy records, and asking questions about medical history. Screening was higher for strangers and when recipients had a high concern about disease risk. Perceptions of risk and donor screening are highly contextual and relationship-specific. Discussing health information can sometimes be awkward, regardless if you know someone well or not. Understanding how people share health information is really important in trying to identify potential barriers to open communication about milk sharing risks. There are relative risks, benefits, and costs associated with any type of infant feeding option. The key public health risks of milk sharing are bacterial contamination through handling practices, contamination with maternal medications and substances, and disease transmission. The Academy of Breastfeeding Medicine has a protocol to guide safe expression, storage, and feeding practices, which minimize risk of contamination. Most breastfeeding mothers in the U.S. reported following these guidelines, at least the ones for expression and storage. Following good hygiene when expressing and storing milk is important to reducing risks of bacterial contamination. If milk thaws during transit, there is a possibility that it could lead to a proliferation of harmful bacteria, which might spoil the milk. 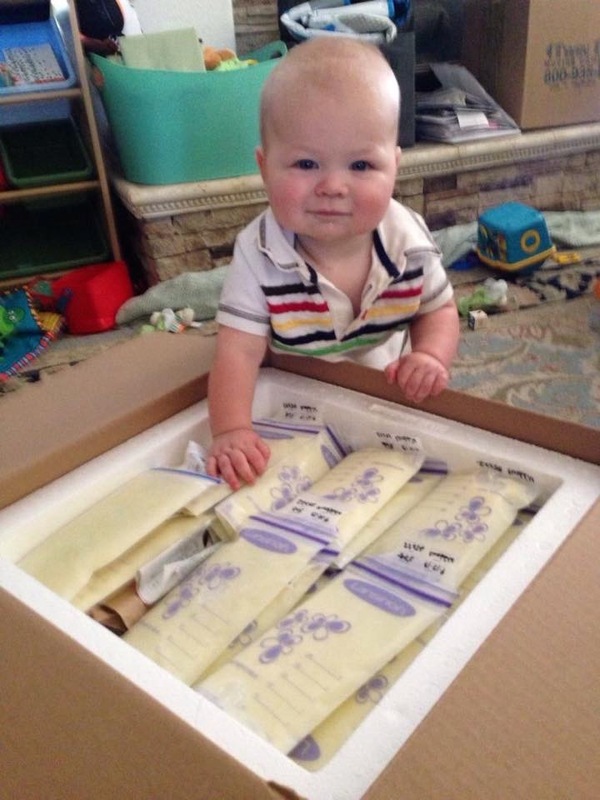 When human milk is shipped between milk sharing families, there is careful coordination between donors and recipients regarding how to package and ship the milk to avoid thawing and spoiling. But, most milk sharing occurs locally with in-person, face-to-face drop offs and pick ups – this helps to keep the milk frozen en route. Not to mention that 12% of donors in our study reported breastfeeding a recipient baby. A milk sharing study in Central Florida found similar results. We know from the scientific literature that expressed human milk is resistant to bacterial contamination under a variety of expression, freeze-thaw, and handling conditions. Freshly expressed breastmilk can be fed to a healthy baby after sitting at room temperature for around 8 hours, used after being refrigerated for about a week, and previously frozen milk is considered good within about 24 hours after thawing for feedings. A mother hand expresses milk to share in her local community. The definition of bacterial “contamination” is somewhat contentious (hence the scare quotes), as human milk naturally contains beneficial bacteria. Infants are exposed to bacteria in the womb, during birth, through contact with normal flora of a caregiver’s skin, and in their everyday environments. The bacteria found in milk are essential to the development of a healthy neonatal gut microbiome and immune system. More to the point, we do not have a robust evidence-base to determine what levels of bacterial growth lead to adverse health outcomes in healthy, immunocompetent infants. A study of milk bought anonymously online found evidence of tampering with cow’s milk, presumably to increase the seller’s profit, as milk is usually paid for by the ounce. Unlike with milk sales, there is no financial incentive for milk sharing donors to increase the volume of milk that they share. We don’t yet have evidence for milk bank donations or milk sharing, but tampering with milk in this way is not considered a risk for altruistic donations. A milk sharing donor prepares bottles of expressed milk for her own baby and freezes one bag of milk per day to share with a close friend. Some have claimed that milk sharing is also dangerous because donors are not going to disclose their use of illicit drugs, alcohol, nicotine, or medications they take. It is true that milk sharing relies on relationships of trust. We see from our study that milk sharing recipients gather information for things they are concerned about. In terms of the risks of exposures to medications and substances in milk, it’s helpful to understand what the recommendations are for mothers who are breastfeeding their own healthy, full-term babies. Most medications are considered safe while breastfeeding, and neither smoking nor consuming caffeine or alcohol are considered reasons not to breastfeed. But, what about the DISEASES!! It is important to remember that the available evidence shows that the risks of diseases that may be passed via human milk are relatively low. This is one reason that there are so few diseases that are considered incompatible with breastfeeding. It is also why milk sharing between a healthy donor and a healthy infant is supported by WHO-UNICEF when mother’s own milk is not available. HIV/AIDS is arguably the disease that causes the most concern, because of how complex transmission is. There are several reasons why the risk of HIV transmission through informed milk sharing are thought to be relatively low in the U.S. Mothers in the U.S. are tested for HIV during pregnancy to reduce rates of perinatal transmission and are discouraged from breastfeeding. The CDC notes that the risk of transmission from a single bottle of expressed milk is low, and that freezing may even attenuate the risk of transmission. The rates of HIV transmission via seroconversion during lactation in the general U.S. population are not so high as to mandate that all mothers have routine HIV testing during the time in which they are breastfeeding. Does this mean that U.S. parents shouldn’t care about HIV while milk sharing? Of course not! Knowing a donor’s HIV status is important. Being familiar with the risk factors of HIV transmission is important. Routine HIV testing throughout the time donors are sharing their milk is one way to further reduce potential risk of HIV transmission to a recipient baby. If for nothing else, it provides peace of mind. We see this happening regularly in practice. Healthcare facilitated milk sharing is another model of practice that may reduce the risks of HIV and other forms of contamination. Organizations like Mothers’ Milk Alliance and Get Pumped! support this type of milk sharing. They provide serological testing, instructions for how to express, store, and handle the milk, breastfeeding support, and they coordinate the distribution of milk to recipients. HIV is killed through flash heating milk, a simple practice that can completely eliminate the risk of transmission. Around 10% of recipients reported flash heating milk, and these were recipients who were highly concerned with disease transmission. Milk sharing is nested within complex social relationships. While laboratory tests of milk are essential to understanding relative risks and benefits, milk sharing research needs social scientists to shed light on contextual factors that shape infant feeding decisions and practices. A father feeds his baby with milk received through milk sharing in a local breastfeeding community. You can read our paper here (Hooray Open Access)! aunpalmquist I'm a medical anthropologist and International Board Certified Lactation Consultant (IBCLC). Opinions are my own. 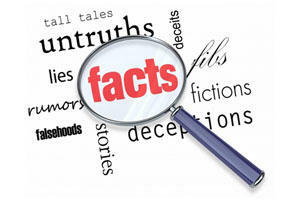 Great busting of myths with cool sciencey research. But this also articulates how fundamentally, breast milk is a very highly valued substance. Pingback: Zondags Lees- en Kijkvoer | Eurolac! Could You give your permission for translation and publish this article on our website http://milkmama.info? “Milk Mama” – a community helping mothers in free milksharing in Russia. We will state You as the author, of course, and put a link to your website. Yes, I am very pleased to do this!